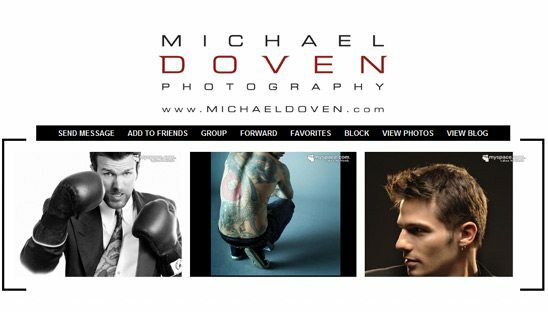 Michael Doven has been making striking images since 1977. He assisted in dozens of photo shoots throughout the western US with world-renowned sports photographer, John Kelly of Colorado. It was during these shoots where Michael was inculcated with the challenges and joys of creating memorable images which has become his life-long passion. Michael was a fan of the ELLE myspace page and wanted a custom design with the same feel. He was looking for a clean design that can showcase all his photos. We placed 3 myspace slide shows across the top, so the user can see all his photography at once.